Let’s face it. Life can be smelly! Cooking those delicious down-home meals of freshly caught fish in the summertime can leave an unpleasant odor wafting not only in the kitchen, but also in other parts of your home. Maybe that garlic pasta you made impressed your guests that evening, but the odors that follow aren’t so appealing. Pets are lovable companions, but your wet dog can produce an awful smell strong enough to make Fido persona non grata in the house. Bathrooms are not immune to their own unpleasant smells, when someone throws a damp towel in the laundry hamper which begins a life, and odor of it’s own. Our cars also accumulate odors in the course of daily life. Kid’s sports equipment, family car trips with Fido, and all the other little odds and ends that find their way into your car are sure to leave their smelly mark. Luckily, we don’t have to go through life with a clothespin on our noses. Air fresheners can be a godsend. Shelves, indeed aisles of the grocery are filled with products to freshen the air. There are a variety of fresheners to deal with odors. If you haven’t bought any lately, remembering the overwhelming and sickeningly sweet sprays which used to be your only choice, you need to check out what’s available today. Many air fresheners are so perfectly balanced that you can’t even detect an unusual smell. Neutralizing the odor on contact is what these guys do best. There’s one to eliminate every odor. There are the standard and popular little dome shaped fresheners, in various scents, some subtle and others like “the super odor killer” for tough jobs. Set on the windowsill or end table, they’re attractive enough to blend into your decor. There are utilitarian spray fresheners, which can be sprayed directly on a surface with immediate results. Best of all, spray air fresheners can be applied to upholstered surfaces, to ensure maximum coverage and odor-killing effect. Candles are one of the more artful mediums in air freshener products. Scented glass votive candle holders can be strategically placed around the room, and no one would ever know that it’s an air freshener. Candles and cleverly shaped designer air fresheners can even spruce up the look of the room. Perhaps you want more fragrance than smell. The plug-in type of air freshener emits a steady but subtle fragrance. Some smell just like a succulent home baked dessert, like apple or pumpkin pie,a good choice in the kitchen. Other have smells found in nature, like Mountain Mist or Pine Forest Fresh. 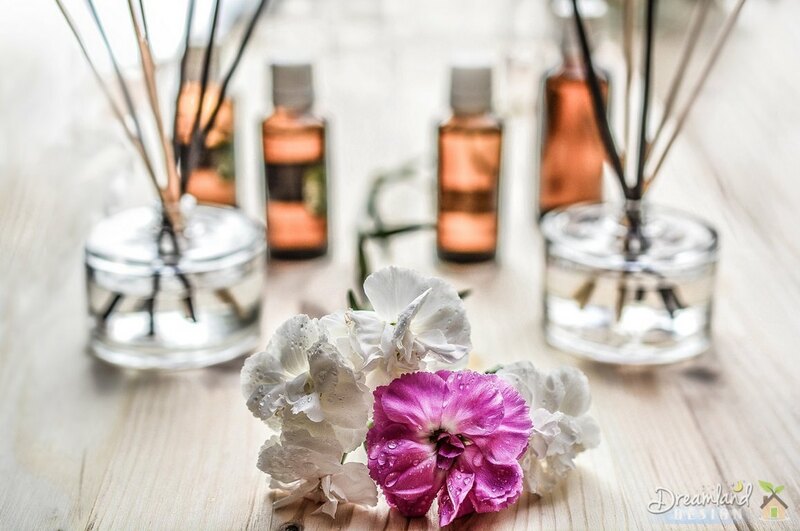 If you prefer a more flowery and perfume-like smell, then try air fresheners with real botanical ingredients like essential flower oils. If you enjoy potpourri, little pots placed around the house are both attractive and provide a nice fresh scent. Incense is another alternative. For the most basic air freshener, don’t forget baking soda! This is great in the frig.